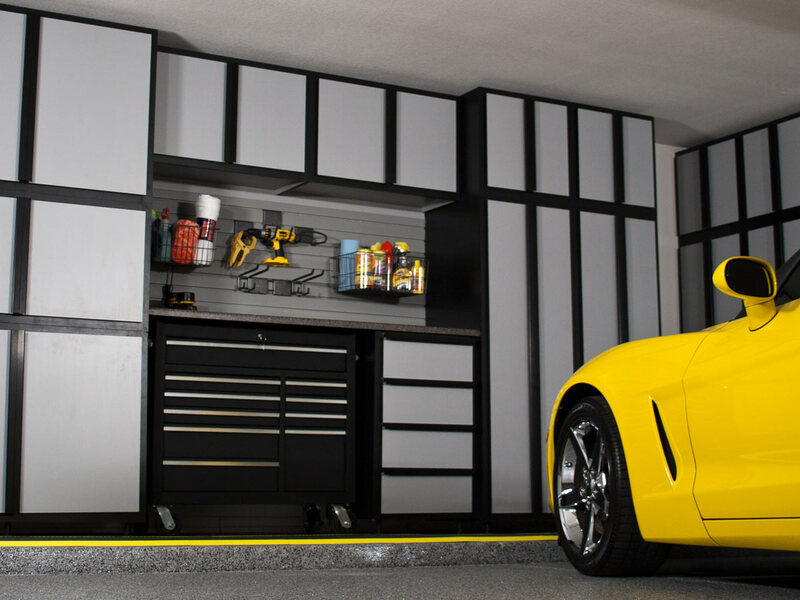 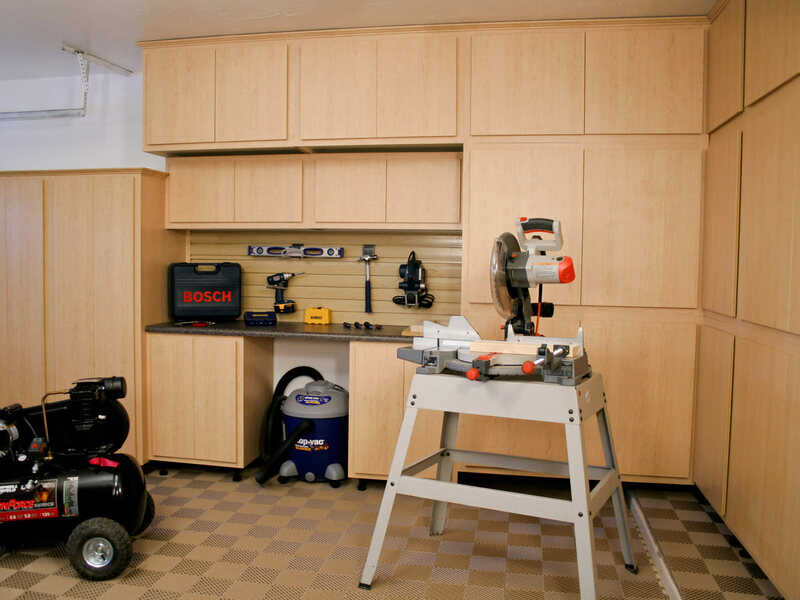 Slatwall storage systems are the perfect addition to your garage. 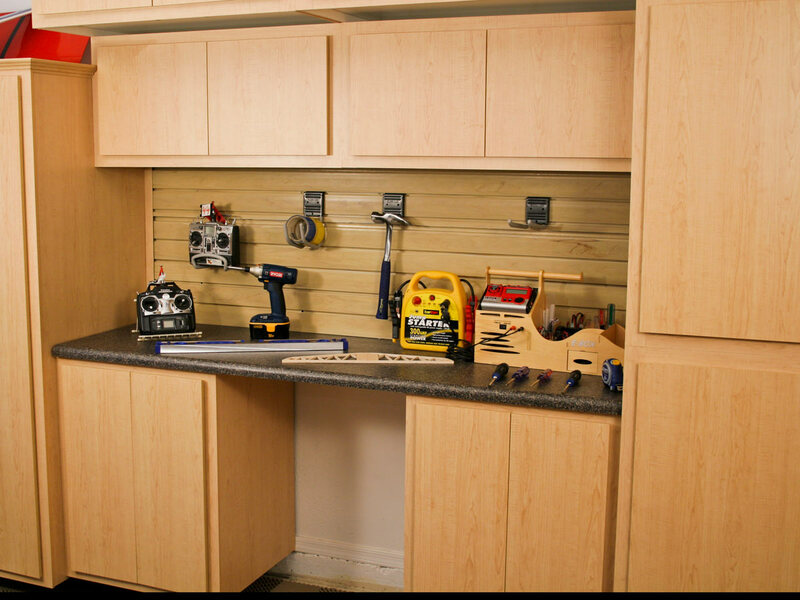 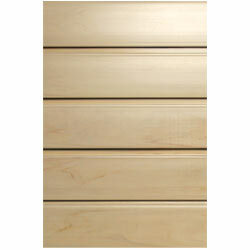 Whether above your workbench or on a wall slatwall is a fun way to do storage. 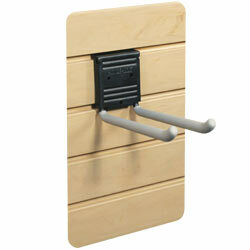 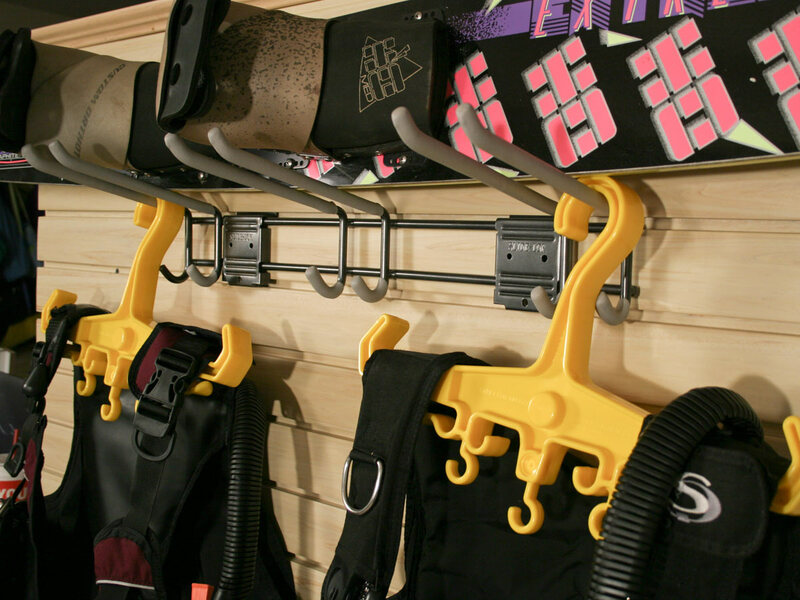 You can hang up tools, bikes, sporting equipment, hobby materials, etc... 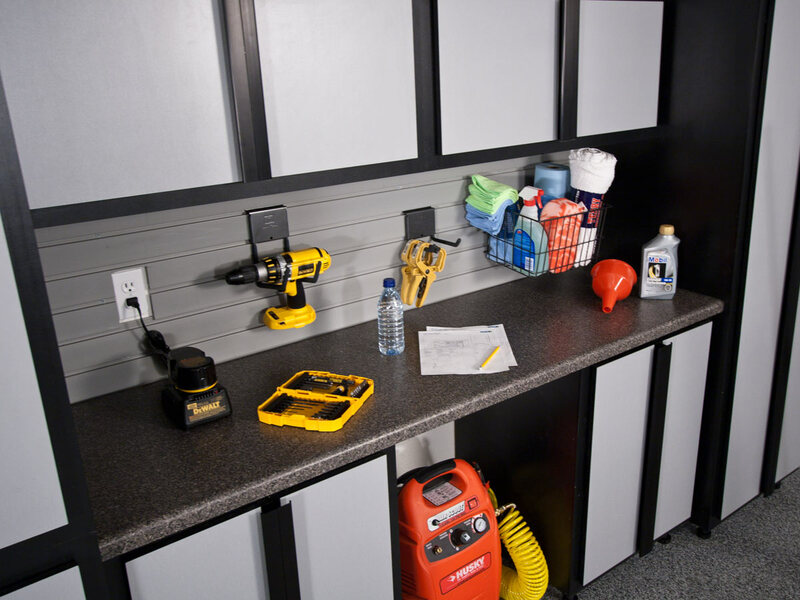 The possibilities with slatwall storage are truly endless when you have the imagination and the right slatwall accessories at your disposal. 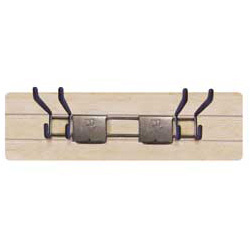 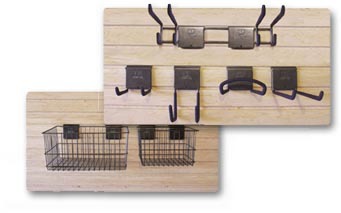 Slide-Lok's garage slatwall accessories include five (5) slatwall hooks and two (2) slatwall baskets that provide the ultimate in storage flexibility. 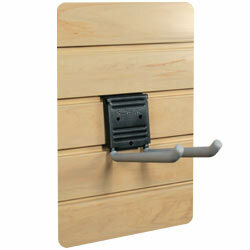 Ask your authorized Slide-Lok dealer for more information. 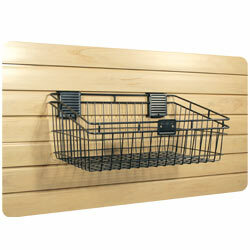 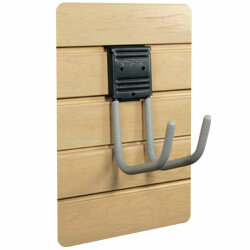 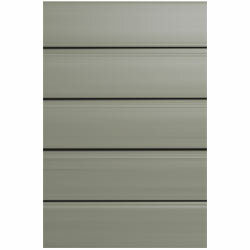 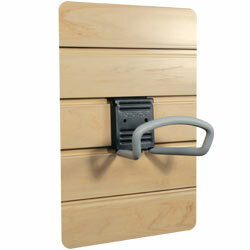 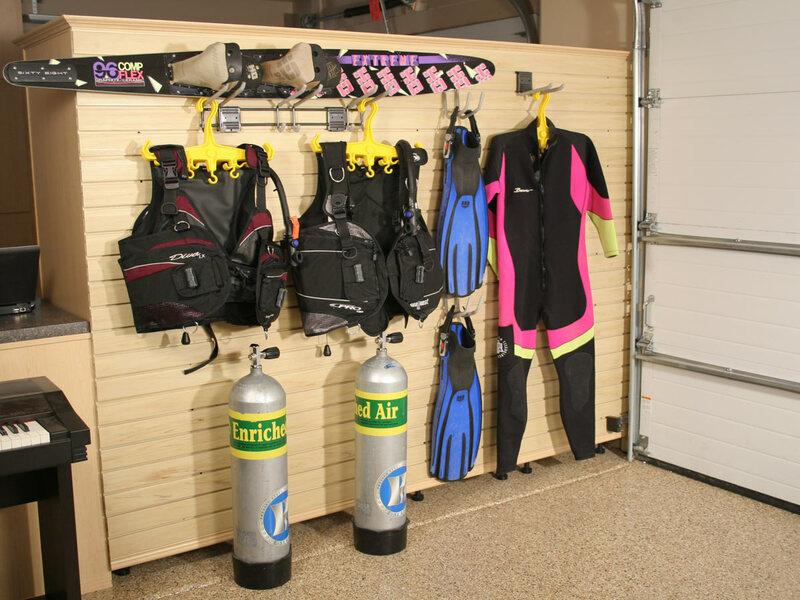 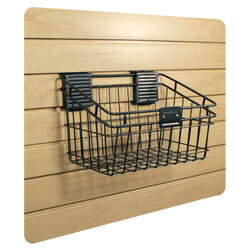 Slide-Lok has a variety of garage storage organizers and accessories to customize any garage.